The atrocities continuous, ceasefire or no ceasefire, UN peace plan or no UN peace plan, it doesn’t matter. A young boy shot through the eye by a sniper from Assad’s forces. A very brave solder indeed. And the destroying of mosques continuous and were are the protests? Normal family life wouldn’t you say? “In one of the most egregious examples, shells thudded into the walls of the 12th century al-Madeeq Citadel, raising flames and columns of smoke as regime forces battled with rebels in March. The bombardment punched holes in the walls, according to online footage of the fighting. Local activists said regime forces carried out the assault and afterward moved tanks into the hilltop castle. Later footage showed bulldozers knocking through part of the walls to create an entrance. The government and opposition have traded blame for damage and looting of sites around the country. But a group of European and Syrian archaeologists tracking the threats through witness reports from the ground says that in several cases, government forces have directly hit historic sites and either participated in or turned a blind eye to looting. (New York) – Syrian government forces killed at least 95 civilians and burned or destroyed hundreds of houses during a two-week offensive in northern Idlib governorate shortly before the ceasefire, Human Rights Watch said in a report released today. The attacks happened in late March and early April, as United Nations special envoy Kofi Annan was negotiating with the Syrian government to end the fighting. The 38-page report, “‘They Burned My Heart’: War Crimes in Northern Idlib during Peace Plan Negotiations,” documents dozens of extrajudicial executions, killings of civilians, and destruction of civilian property that qualify as war crimes, as well as arbitrary detention and torture. The report is based on a field investigation conducted by Human Rights Watch in the towns of Taftanaz, Saraqeb, Sarmeen, Kelly, and Hazano in Idlib governorate in late April. Human Rights Watch documented large-scale military operations that government forces conducted between March 22 and April 6, 2012, in opposition strongholds in Idlib governorate, causing the death of at least 95 civilians. In each attack, government security forces used numerous tanks and helicopters, and then moved into the towns and stayed from one to three days before proceeding to the next town. Graffiti left by the soldiers in all of the affected towns indicate that the military operation was led by the 76th Armored Brigade. In nine separate incidents documented by Human Rights Watch, government forces executed 35 civilians in their custody. The majority of executions took place during the attack on Taftanaz, a town of about 15,000 inhabitants northeast of Idlib city on April 3 and 4. Human Rights Watch researchers were able to observe the bullet marks on the wall that formed a row about 50-60 cm above the floor. Two of those executed were under 18 years old. In several other cases documented by Human Rights Watch, government forces opened fire and killed or injured civilians trying to flee the attacks. The circumstances of these cases indicate that government forces failed to distinguish between civilians and combatants and to take necessary precautionary measures to protect civilians. Government forces did not provide any warning to the civilian population about the attacks. For example, 76-year-old Ali Ma’assos and his 66-year-old wife, Badrah, were killed by machine-gun fire shortly after the army launched its attack on Taftanaz in the morning on April 3 as they tried to flee the town in a pick-up truck with more than 15 friends and family members. Upon entering the towns, government forces and shabeeha (pro-government militias) also burned and destroyed a large number of houses, stores, cars, tractors, and other property. Local activists have recorded the partial or complete burning and destruction of hundreds of houses and stores. In Sarmeen, for example, local activists have recorded the burning of 437 rooms and 16 stores, and the complete destruction of 22 houses. In Taftanaz, activists said that about 500 houses were partially or completely burned and that 150 houses had been partially or completely destroyed by tank fire or other explosions. Human Rights Watch examined many of the burned or destroyed houses in the affected towns. In most cases, the burning and destruction appeared to be deliberate. The majority of houses that were burned had no external damage, excluding the possibility that shelling ignited the fire. In addition, many of the ruined houses were completely destroyed, in contrast to those which appeared to have been hit by tank shells, where the damage was only partial. During the military operations, the security forces also arbitrarily detained dozens of people, holding them without any legal basis. About two-thirds of the detainees remain in detention to date, despite promises by President Bashar al-Assad’s government to release political detainees. In most cases, the fate and whereabouts of the detainees remains unknown, raising fears that they had been subjected to enforced disappearances. Those who have been released, many of them elderly or disabled, told Human Rights Watch that during their detention in various branches of the mukhabarat (intelligence agencies) in Idlib city they had been subjected to torture and ill-treatment. Opposition fighters were present in all of the towns prior to the attacks and in some cases tried to prevent the army from entering the towns. In most cases, according to local residents, opposition fighters withdrew quickly when they realized that they were significantly outnumbered and had no means to resist tanks and artillery. In other towns, opposition fighters left without putting up any resistance; residents said this was in order to avoid endangering the civilian population. The fighting in Idlib appeared to reach the level of an armed conflict under international law, given the intensity of the fighting and the level of organization on both sides, including the armed opposition, who ordered and conducted retreats. This would mean that international humanitarian law (the law of armed conflict) would apply in addition to human rights law. Serious violations of international humanitarian law are classified as war crimes. Human Rights Watch has previously documented and condemned serious abuses by opposition fighters in Syria, including abuses in Taftanaz. These abuses should be investigated and those responsible brought to justice. These abuses by no means justify, however, the violations committed by the government forces, including summary executions of villagers and the large-scale destruction of villages. Human Rights Watch called on the United Nations Security Council to ensure that the UN supervisory mission deployed to Syria includes a properly staffed and equipped human rights section that is able safely and independently to interview victims of human rights abuses such as those documented in this report, while protecting them from retaliation. Human Rights Watch also called on the UN Security Council to ensure accountability for these crimes by referring the situation in Syria to the International Criminal Court, and for the ongoing UN Commission of Inquiry to support this. “The soldiers had handcuffed him behind his back. They didn’t hit him in front of me, but I saw that his eye was bruised. I tried to be quiet and nice to the soldiers so that they would release him. “Syrian security forces have kept heavy weapons in cities in breach of a UN brokered cessation of hostilities, but the government and opposition both have committed truce violations, a top UN official said Tuesday. The 34 unarmed military observers now in Syriahave seen Howitzer guns, armored personnel carriers and other weaponry in cities, UN peacekeeping chief Herve Ladsous told a press conference at UN headquarters. Ladsous insisted, however, that the monitors were having an effect in cities where they have been allowed to go. Withdrawing weapons and troops from Syrian cities was a key part of a six-point peace plan agreed by President Bashar al-Assad and UN-Arab League envoy Kofi Annan. Syria has told the UN that weapons have been pulled back. ”Regarding the heavy weapons, yes, our military observers do see a number of APCs, for instance, they see a number of Howitzers and other military equipment in most places where they are,” Ladsous said. Syria has told the monitors that the armored carriers have been disarmed but this has not been verified, Ladsous added. The UN Security Council has approved a 300 strong force to monitor the cessation of hostilities which started on April 12 but has barely held. Ladsous said only 150 monitors have been promised by UN member states so far. Syria has refused visas for three monitors that the UN wanted in the country. Ladsous, a UN under secretary general, said that government forces and opposition groups have broken the truce. ”The important fact is that violations do come from both sides,” he said while refusing to say whether one side had committed more breaches. BABA AMR, Syria— For Syrians on both sides of the concrete wall that now surrounds this neighborhood, the comparisons to the region’s longest running conflict are unavoidable. “When my wife described the wall to me I immediately thought of the wall built by the Israelis to isolate Palestinian villages and towns in theWest Bank,” said Abu Annas, formerly a resident of Homs’ devastated Baba Amr district. Since forcing the retreat of rebel fighters from Baba Amr after a brutal month-long bombardment in February, government forces have constructed a massive concrete wall to seal off the former opposition stronghold. A reporter for GlobalPost recently visited Baba Amr and the wall, describing it as up to 10-feet high and made of cement. It’s still so new there is no graffiti. Since most residents have long fled, the neighborhood behind the wall has become “a dead land for cats and dogs,” as one former resident described it. Soldiers and secret police guard the few narrow passages through the wall, arresting any male aged between 13 and 60, said Annas, whose wife and young daughter recently went to check on what remained of their home inside Baba Amr. Those houses not destroyed in February’s siege have been taken over by soldiers, Annas said. Electricity and phone lines have been cut for months and now cars cannot enter, nor delivery trucks, meaning shops are almost all closed. Activists in the area said the neighborhood — once home to some 28,000 people — has now been all but abandoned, with only about 1,000 still living inside the wall. In other Sunni-majority opposition neighborhoods throughout Homs, such as Karm al-Zeitoune, where whole families were killed in recent sectarian massacres, and Deir Balbah and Qarabes, the majority of residents have also fled. With the UN-Arab League ceasefire plan in tatters — at least 462 people have been killed since April 16 when the UN resolved to send ceasefire monitors, according to the opposition Local Coordination Committees — and veto-wielding Russia blaming the armed opposition for the majority of attacks, the Assad regime appears to be taking steps to re-exert long-term security control and collectively punish rebellious communities. On Saturday, Abu Bakr Saleh, a spokesman for the Baba Amr media center who lived through the bombardment, said other security measures were preventing residents from traveling between Baba Amr and neighboring Joubar neighborhood, to the far southwest of the city. Last week, GlobalPost witnessed continued shelling in Khaldiyeh and Bayada, Sunni-majority neighborhoods in north Homs that support the opposition and lie adjacent to Zahara, a neighborhood of mainly Allawites, an offshoot of Shiite Islam, to which the ruling Assad family and a majority of government elites belong. Cairo Street, which leads from north Homsinto Zahara in the east of the city, has been renamed “Death Street” by locals after the deadly snipers deployed to rooftops, presumably to protect the pro-regime neighborhood. On their first visit to Homs on April 21, members of the advance team of UN observers, the first of 300 due to be deployed to monitor violations of the ceasefire agreement, were forced to take cover after shots rang out as they walked down Cairo Street from Bayada. “The regime will not adhere to the Annan plan and the near future will prove that,” said Omar, a 24-year-old member of the rebel Free Syrian Army, told GlobalPost in an interview at his home inHoms’ Deir Balba. Reports of Assad’s forces digging trenches around the south and west of Homs, where Baba Amr is located, first emerged last November. A video journalist working with GlobalPost witnessed the trench during a visit to Homs this February. The purpose of the trench remains unclear, but it appears to be a another military tactic to hinder access to rebellious neighborhoods. In Daraa, the first city to rise up against the regime and suffer a sustained military assault, GlobalPost recently witnessed a labyrinth of checkpoints and deployment of tanks, troops and snipers, effectively sealing off the population from surrounding areas and the capital. The regime blames “armed terrorist groups” for the breakdown in the ceasefire agreement. Information Minister Adnan Mahmoud told state-run Syrian Arab News Agency last week that the “terrorists” had committed more than 1,300 violations. Russia last week echoed a similar line. Foreign Ministry spokesman Alexander Lukashevich accused the opposition of shifting “to tactics of terror on a regional scale,” claiming Western governments were arming the rebel fighters. Rather, it appears post-revolutionary Libya, which strongly supports Syria’s opposition, has made the first serious effort to arm the rebels. On Saturday Lebanese authorities announced they had discovered guns and rocket propelled grenades aboard a ship attempting to dock in north Lebanon’s Tripoli, a Sunni-majority city also widely supportive of Syria’s opposition. Omar, the young rebel fighter from Homs, said the FSA was now restructuring after suffering a strategic defeat in Baba Amr. As the rebels seek new strategies for their armed struggle, the Assad regime has made its contempt of the international diplomatic effort clear. Assad himself revealed his scorn for last December’s Arab League monitoring mission in an email, first obtained and verified by the Guardian. That same contempt appeared to be on display more recently as Kofi Annan, the Arab League envoy, briefed the Security Council on a letter received from Syrian Foreign Minister Waleed Mualem on April 21. The letter stated that the government had now withdrawn all heavy armor and troops from population centers, the first step in Annan’s cease-fire plan. But daily videos of smoke billowing above Homs and troops opening fire in urban protest centers have told a very different story. Syrian officials see Annan’s plan as “a license for the regime to do more of the same,” the respected International Crisis Group, one of the only international think tanks able to still interview Syrian officials, wrote in its April 10 report. As that process unfolds, the wall in Baba Amr stands as a physical symbol of the deep-seeded sectarian hatred that a year of relentless violence in Syria has engendered in former neighbors. “The Sunni districts are hosting terrorists and armed gangs so the government should close them off by all means. If this needs a high wall, why not?” Haidar, a 35-year-old Allawite fromHoms’ Zahara neighborhood, told GlobalPost. A member of the Popular Committees, the official name for armed civilian militias fighting for the regime, Haidar said the possible collapse of the regime would mean no future for three million Allawites in Syria’s big cities. “We would return to our villages in the mountains,” he said. Yazen is a four-year-old boy from Homs who found refuge in the Lebanese town of Ras Baalbek three months ago. He lost his ability to speak because of the psychological trauma he endured after being brutally beaten by the Syrian regime’s thugs when they came into his home in search of his father. The killing machine in Syria did not spare children; rather, since the start of the uprising, the regime of Bashar al-Assad has intentionally targeted them, earning the Syrian president the title of “child murderer” among his detractors. According to the Center for Documentation of Violations in Syria, 1,089 children – boys and girls alike – have been killed so far, and 464 wounded. At the start of the uprising, a group of Syrians launched an initiative on Facebook calling for keeping children out of protests to keep them protected from the pro-regime forces that attack demonstrations. But it was not enough, as the killers go after children in their homes and schools. Reports by the United Nations and Human Rights Watch indicate that schools have been turned into detention and torture centers run by regime forces, who would also position snipers on the roofs. According to the same reports, children have been shot by snipers, killed by shelling, tortured to death, and have died from untreated wounds. Reports also mention children being raped in prisons. Anna Neistat, an associate director at Human Rights Watch, worked for years on conflicts from Chechnya to Zimbabwe to Sri Lanka. In an article in the Global Post, she said that the level of state-sanctioned torture taking place in Syria is incomparable with any other conflict she has ever witnessed. There is no distinction between children and adults in prisons, she said, adding that if anything, children are more brutally beaten, as investigators believe they respond faster to such practices. In the same context, UN High Commissioner for Human Rights Navi Pillay told the BBC that hundreds of children were taken as hostages or information sources. The Human Rights Watch report said that regular troops used children as human shields and put them in tanks and buses when the Syrian army stormed Ain Larouz in theprovince of Edleb on March 10. The Syrian regime uses methodical violence against children for many reasons, including revenge, as children have played an essential role in the uprising from the beginning; indeed, it was children who wrote anti-regime slogans on walls in Daraa, launching the protests last year. The regime is also trying to send other children a message. A year ago this week, the regime brutally tortured Hamza al-Khatib before sending his mutilated body to his parents, thus delivering a message to its opponents right from the start, namely that it is not bound by any moral and humanitarian deterrent and is capable of committing atrocities if the revolution goes on. By targeting children, the regime is “striking the foundations” of the new generation and undermining the stability, safety and future of society and family, especially in rural areas where children are regarded as an “investment” by parents and a means to provide for them when they grow old, according to the UC Davis Human Rights Initiative Blog. These practices have tremendous and dangerous effects on children who survive or witness such violence. “[The child] suffers from deep disorders and experiences a state of concern and feeling of being unsafe. This renders him or her unable to plan for the future, ignites his or her anger and influences his or her behavior,” says Psychoanalyst Rena Sarkis. “Any change in the child’s habits, such as having a different school or home, can put him or her in a state of shock. Seeing pictures of an earthquake in some countries affects the child’s spirit, as he or she fears that something similar may happen to him or her. This holds especially true when war invades his or her street, home and school. It is as though he or she was left alone in this life without any reference and markers,” Sarkis added. Children victims of violence need to rebuild their sense of security and dignity by talking over what happened to help them understand and move on, Sarkis said, though UNICEF Child Protection Officer Abir Abi Khalil noted that while some children can express themselves using words, others find it difficult to do so. According to UNICEF Media Director Souha Bsat, the idea underlying the project is to allow the child to lead a normal life away from home, since parents – due to their mental state – cannot provide an atmosphere of joy and calm. These activities also help Syrian children mingle with their Lebanese peers, who also need spaces for playing and entertainment, since the Lebanese regions that saw an influx of Syrian refugees are the poorest inLebanon. Bsat goes on saying that these spaces fill the free time of displaced children constructively, especially for those who have been unable to enroll in Lebanese schools or were forced to work in order to provide for their families. In Syria too, despite the killing, groups have started providing psychological support to children. “We are rebelling for them so that we provide them with a more beautiful future. The calendar of freedom gives a detailed description every Tuesday of activities and games that help children deal with psychological trauma resulting from violence,” according to the Facebook page of Syrian journal Ayyam al-Horriya (Days of Freedom). “In the seven months since the Qaddafi regime was destroyed, Washington, London and Paris have turned a blind eye to the impossibility of establishing a stable government in Tripoli because rebel factions and militias identified with al Qaeda which control Libya’s main towns are too busy running the biggest arms smuggling network ever seen in North Africa. Rockets, explosives and every kind of weapon is reaching al Qaeda elements and affiliates in abundant quantities across northern Africa and the Middle East, including their offshoots in Egyptian Sinai and the Gaza Strip. Groups identified with al Qaeda have seized control of large parts ofMaliand directly threaten the stability of the Algerian government. Sources report fears that Syriamight go the same way as Libya. Syrian officers and agents who have deserted from Syrian military and security agencies have made their way to Washington to implore administration officials to abandon the US policy of non-intervention in Syria. They warn that the rebel Free Syrian Army is falling into the clutches of al Qaeda. It won’t be long, they say, before these jihdist terrorists not only wreak mayhem in Syria, but turn that country into their haven and base for cross-border attacks against Turkey, Lebanon, Israel, the West Bank and Jordan. Their pleas have not moved the Obama administration. That so long as the Americans stay out of involvement in Syria, France, Turkey and Arab League nations will also stand aside, because the US alone is capable of establishing combined commands and infrastructure for coordinating an operation with multiple air support on the scale required for Syria. The eccentricity of terror is drawn in dust-covered colours in the homes of Baba Amr. “Few people were prepared to talk, but one man was upset enough on learning he was talking to a Briton to damn the perfidy of David Cameron, who had seemed to want to help but had ”done nothing”. Another man described how he had been held in prison for 50 days – though not long enough to avoid the savagery of February’s bombardment that finally drove the Free Syrian Army’s Farouq Battalion from the suburb. 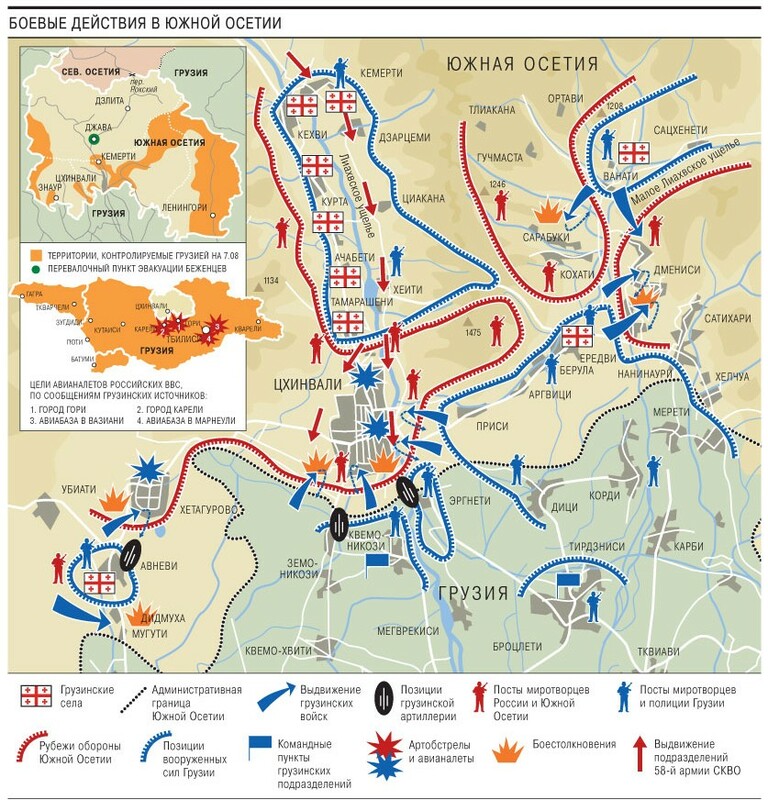 It was a humiliating retreat which may have marked the turning point of this war. Of the Americans killed, eight worked for the Central Intelligence Agency, including the CIA’s top Middle East analyst and Near East director, Robert C. Ames, Station Chief Kenneth Haas and most of the Beirut staff of the CIA. Following the attack, the embassy was moved to a supposedly more secure location in East Beirut. However, on September 20, 1984, another car bomb exploded at this embassy annex, killing twenty Lebanese and two American soldiers. And then there was the Beirut Barracks Bombing on October 23, 1983 in Beirut, when two truck bombs struck separate buildings housing United States and French military forces—members of the Multinational Force in Lebanon—killing 299 American and French servicemen. Of the 299 killed 241 was Americans. And sixty Americans were injured. Representing the deadliest single-day death toll for the United States Marine Corps since the Battle of Iwo Jima of World War II, the deadliest single-day death toll for the United States military since the first day of the Tet Offensive during the Vietnam War, and the deadliest single attack on Americans overseas since World War II. The blasts led to the withdrawal of the international peacekeeping force fromLebanon. Well, that was “daddy” Hafez al-Assad and Iran (Hezbollah). As I have been saying, It’s a family affair. A deadly one. At the front are Hafez al-Assad and his wife, Mrs Anisa Makhlouf. 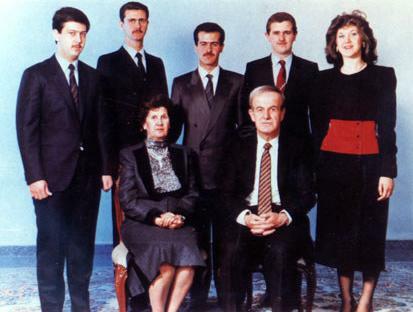 In the back row, from left to right, are Maher (1967 -), Bashar (1965 -), Bassel (1962 – 1994), Majid (1967 – 2009), and Bushra Assad (1960 -). Under the Bush administration US policy towards Syria cooled in 2003. Then Secretary of State Colin Powell was the last high ranking person to go to Damascus in May 2003. And the Bush administration recalled its ambassador to Damascus on February 15, 2005 after Syria’s assassination of former Lebanese prime minister Rafic Al-Hariri on 14 February 2005. Under the rest of Bush’s term no US ambassador where stationed in Damascus. Following Hariri’s death, there were several other bombings and assassinations against anti-Syrian figures. These included Samir Kassir, George Hawi, Gebran Tueni, Pierre Amine Gemayel, and Walid Eido. Assassination attempts were also made on Elias Murr, May Chidiac, and Samir Shehade who was investigating Hariri’s death. It was the “son” this time. Together with Iran (Hezbollah). The assassination gave rise to the so-called Cedar Revolution, a rare Lebanese political consensus. 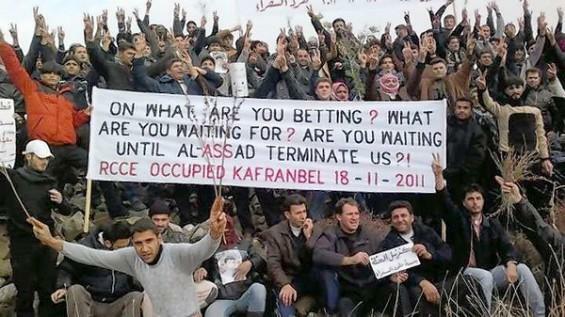 Syria, cowed by the collective anger, had to withdraw its troops. The primary goals of the original activists were the withdrawal of Syrian troops from Lebanon and the replacement of a government heavily influenced by Syrian interests with more independent leadership, the establishment of an international commission to investigate the assassination of Prime Minister Hariri, the resignation of security officials to ensure the success of the plan, and the organization of free parliamentary elections. “The Mehlis Report is the result of the United Nations’ investigation into the 14 February 2005 assassination of Lebanon’s former prime minister Rafik al-Hariri. The investigation was launched in accordance with UN Security Council Resolution 1595 and headed by the German judge, Detlev Mehlis. It involved questioning of Lebanese and Syrian officials. The official Mehlis Report made no specific mention of anyone in the Syrian government as responsible for the assassination. However, the report was first erroneously released as a Microsoft Word document which preserved changes that had been made in the document since its creation. According to that document, the original U.N. report had specifically named many high-ranking Syrian government and military officials by name as being personally responsible for the death of Rafik Hariri. For example, a previous editing of the report stated that ”Maher al-Assad, Assef Shawkat, Hassan Khalil, Bahjat Suleyman and Jamil al-Sayyed” were behind the killing of Hariri. But in the official version, this is replaced by ”senior Lebanese and Syrian officials”. Maher al-Assad is the brother of Syrian president Bashar al-Assad, and Assef Shawqat, a powerful figure within the regime, is married to their sister Bushra. Suleyman is a top Syrian security official and al-Sayyed, the only Lebanese of the four, was formerly the head of Lebanon’s General Security Department. Since the Bush administrations recall of the ambassador to Damascus there were some parading of politicians going to Damascus and meeting Assad. Many democrats but some republicans too. ”We came in friendship, hope, and determined that the road to Damascus is a road to peace,” said Pelosi, who met for three hours with Syrian President Bashar Assad. 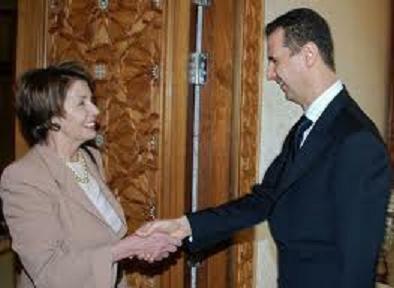 ”We came in friendship, hope, and determined that the road to Damascusis a road to peace,” Ms. Pelosi grandly declared. “Ms. Pelosi was criticized by President Bush for visiting Damascusat a time when the administration — rightly or wrongly — has frozen high-level contacts withSyria. Mr. Bush said that thanks to the speaker’s freelancing Mr. Assad was getting mixed messages from theUnited States. That brought a sharp attack from the Bush administration, which has rejected direct talks with Damascusuntil it changes its ways. Nancy Pelosi’s trip to Syria is part of a larger problem. ”In one fell swoop, the Speaker legitimized and emboldened a ruthless thug whose unyielding support for terrorism has bogged down our attempts to bring stability and peace to the region at every step of the way. The excursion, condemned by most major newspapers, undoubtedly won Pelosi plaudits from her reflexively anti-Bush liberal base. But most instructively, it revealed why Democrats remain woefully unfit to set the nation’s foreign policy. Then enter the Obama administration and Hillary Clinton. With a total change of policy. They sent a new ambassador to Damascus. And were the Bush administration refused to lend the UN “Human Rights” Council credibility by U.S. membership and withholding taxpayer dollars. In 2009 President Obama, signed on, paid the dues, and is currently seeking a second three-year term for the United States on the Council. Etc (see my part 9). Yeap, you read right. According to Obama, Clinton and the top democrats, Assad was a “reformer” who they could work with. And they did and tried. And kept silent about the atrocities. As long as he was “their man”. As late as March 28 2011 Clinton STILL called Assad a “reformer”. That was two weeks after the uprising stared in earnest. “Doing the round of Sunday television talk shows with Defense Secretary Robert Gates, Clinton told CBS’s Face the Nation that the U.S. would not enter the conflict in Syria as it has in Libya. While saying the administration deplored the violence in Syria, she contrasted the situation to that of Libya. “CBS newsman Bob Schieffer, the interviewer, noted that the president’s father, Hafez Assad, had “killed 25,000 people at a lick” – a reference to the crushing of an Islamist revolt in the town of Hama in 1982 – and said the regime now was firing at civilians with live ammunition. “Why is that different from Libya?” he asked. “A regular visitor to Damascus is chairman of the Senate Foreign Relations Committee Sen. John Kerry (D-Mass. ), who has met with Assad at least six times, most recently last November. Kerry was a strong supporter of the Obama administration’s decision to re-engage the Assad regime and to send an ambassador to Damascus for the first time in five years. He has also taken an interest in prodding Syria and Israel towards peace talks. In a March 16 speech at the Carnegie Endowment for International Peace on U.S. policy in the light of what he called “the new Arab awakening,” Kerry referred to the situation in Libya, Egypt, Tunisia, Yemen, Bahrain, Iraq, Iran, Jordan, Morocco, Oman and Lebanon. There was not a single reference in the speech to Syria, however. When Kerry was asked about Syria during a question-and-answer session afterwards, he voiced optimism about the direction relations were taking. He mentioned some of the requests, including the purchase of land for the U.S. Embassy in Damascus, the opening of an American cultural center, non-interference in Lebanon’s election and the improvement of ties with Iraq and Bahrain, and said Assad had met each one. Kerry said nothing about the need for internal reform in Syria. “Assad, like his father, has nurtured strong ties with Iran and the Lebanese terrorist group Hezbollah, while continuing to host Palestinian terrorist groups in Damascus. He also maintained Syria’s decades-old policy of political and military interference in Lebanon, and his regime was suspected of high-level involvement in the assassination of former Lebanese Prime Minister Rafik Hariri in 2005. So slaughtering civilians, including children, execute and massacre them, commit war crimes, destroying block after block, neighbourhood after neighbourhood with the world largest mortar bomb (Russian 240 mm) is OK IF YOU ARE DEEMED A REFORMER by the Obama administration. Then all high talk and “responsibility to protect” doesn’t matter. 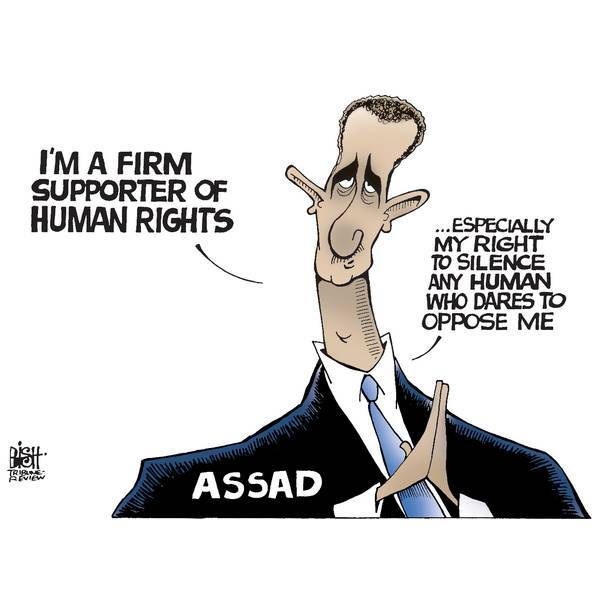 Officially, the State Department has taken a dim view of Assad’s pledges, describing him as “authoritarian” in the most recent human rights report. “The government systematically repressed citizens’ abilities to change their government,” the report said. “In a climate of impunity, there were instances of arbitrary or unlawful deprivation of life. There’s no question that Assad had promised reform to reporters, most recently in an interview with The Wall Street Journal. But have “many of the members of Congress of both parties” who have met with Assad actually come away from those meetings believing that Assad was a reformer? Relations between the United States and Syria hit a low point in 2005 after the former prime minister of Lebanon, Rafik Hariri, was assassinated and the Bush administration withdrew the U.S.ambassador. But President Obama has sought to repair relations, believing a peace deal between Israel and Syria would help stabilize the region. Over congressional opposition, he returned the ambassador to Damascus. In a meantime, a number of congressional delegations have made trips to Damascusto meet with Assad. Most famously, then House Speaker Nancy Pelosi (D-Calif.) met with Assad in 2007 over the objections of President Bush, though Republicans such as Rep. Darrell Issa of California also traveled there, believing it was important to maintain a dialogue. Sen. John Kerry (D-Mass. ), chairman of the Senate Foreign Relations Committee, has made repeated visits to Damascus to meet at length with Assad. But what about Republicans? Clinton claimed that “many of the members of both parties” who had gone to Syria “in recent months” had decided Assad was a reformer. The State Department, however, refused to provide any names. So, using news articles, the Internet and other sources, we tried to identify every Republican lawmaker who had gone to Syria on an official trip since Pelosi’s visit in 2007. We came up with a list of 13 names, some of whom are now retired and some of whom have made repeated visits. We then checked every public statement or news release the lawmakers made about their trips or meetings with Assad. “Throughout the Middle East uprisings, Clinton has had trouble calibrating her comments to the mood of the moment, such as when she pronounced the Mubarak regime to be “stable’ and “looking for ways to respond to the legitimate needs and interests of the Egyptian people.” Days later, Mubarak was gone. But did any of these lawmakers come away from the meeting believing Assad was a reformer? Shelby, through a spokesman, said he never believed or said that (and also did not brief Clinton after the trip). “He has known both the father and son, and believes they are brutal dictators with horrible reputations,” said spokesman Jonathan Graffeo. Other senators on the trip also denied that, though not all immediately responded. Interestingly, even Kerry seems to have lost patience with Assad, blasting him in a statement on Thursday, just four days after Clinton suggested Assad was a reformer. The State Department’s refusal to identify these lawmakers is also suspicious, especially after Clinton backtracked and sought to pin the blame for the sentiments she expressed on others. So we are left with a public record that suggests Clinton was exaggerating or inventing the chorus of support on the GOP side. That “reformer” has now killed over 11 000 civilian men, women, children, elderly etc. Many of the members of Congress of both parties who have gone toSyriain recent months have said they believe he’s a reformer. Few things said by this administration in its two years can match this one for moral bankruptcy and strategic incomprehensibility. First, it’s demonstrably false. It was hoped that President Assad would be a reformer when he inherited his father’s dictatorship a decade ago. Being a London-educated eye doctor, he received the full Yuri Andropov treatment — the assumption that having been exposed to Western ways, he’d been Westernized. Wrong. Assad has run the same iron-fisted Alawite police state as did his father. Bashar made promises of reform during the short-lived Arab Spring of 2005. The promises were broken. During the current brutally suppressed protests, his spokeswoman made renewed promises of reform. Then Wednesday, appearing before parliament, Assad was shockingly defiant. He offered no concessions. None. Second, Clinton’s statement is morally obtuse. Here are people demonstrating against a dictatorship that repeatedly uses live fire on its own people, a regime that in 1982 killed 20,000 in Hama and then paved the dead over. Here are insanely courageous people demanding reform — and the U.S. secretary of state tells the world that the thug ordering the shooting of innocents already is a reformer, thus effectively endorsing the Baath party line — “We are all reformers,” Assad told parliament — and undermining the demonstrators’ cause. Third, it’s strategically incomprehensible. Sometimes you cover for a repressive ally because you need it for U.S. national security. Hence our muted words about Bahrain. Hence our slow response on Egypt. But there are rare times when strategic interest and moral imperative coincide completely. Syria is one such — a monstrous police state whose regime consistently works to thwart U.S. interests in the region. During the worst days of the Iraq war, this regime funneled terrorists into Iraq to fight U.S. troops and Iraqi allies. It is dripping with Lebanese blood as well, being behind the murder of independent journalists and democrats, including former prime minister Rafiq al-Hariri. This year, it helped topple the pro-Western government of Hariri’s son, Saad, and put Lebanon under the thumb of the virulently anti-Western Hezbollah. Syria is a partner in nuclear proliferation with North Korea. It is Iran’s agent and closest Arab ally, granting it an outlet on the Mediterranean. Those two Iranian warships that went through the Suez Canal in February docked at the Syrian port of Latakia, a long-sought Iranian penetration of the Mediterranean. Yet here was the secretary of state covering for the Syrian dictator against his own opposition. And it doesn’t help that Clinton tried to walk it back two days later by saying she was simply quoting others. Rubbish. Of the myriad opinions of Assad, she chose to cite precisely one: reformer. That’s an endorsement, no matter how much she later pretends otherwise. And it’s not just the words; it’s the policy behind it. This delicacy toward Assad is dismayingly reminiscent of President Obama’s response to the 2009 Iranian uprising during which he was scandalously reluctant to support the demonstrators, while repeatedly reaffirming the legitimacy of the brutal theocracy suppressing them. Why? Because Obama wanted to remain “engaged” with the mullahs — so that he could talk them out of their nuclear weapons. We know how that went. The same conceit animates his Syria policy — keep good relations with the regime so that Obama can sweet-talk it out of its alliance with Iran and sponsorship of Hezbollah. Another abject failure. Syria has contemptuously rejected Obama’s blandishments — obsequious visits from Senate Foreign Relations Committee Chairman John Kerry and the return of the first U.S. ambassador to Damascus since the killing of Hariri. Assad’s response? An even tighter and more ostentatious alliance with Hezbollah and Iran. Our ambassador in Damascus should demand to meet the demonstrators and visit the wounded. If refused, he should be recalled to Washington. And rather than “deplore the crackdown,” as did Clinton in her walk-back, we should be denouncing it in forceful language and every available forum, including the U.N. Security Council. And on top of that, Hillary Clinton is telling the Syrian freedom protesters to lay down their arms. So apparently she is Very SELECTIVE in which atrocities to “prevent” and when to use “responsibility to protect”. Or as Tom Hayden posted at the Rag Blog, a far-left website that is home to radical 1960s anti-war leaders, some with previous close ties to Obama, Hayden remarked on Power’s use of war. Tom Hayden was the principal organizer for the 1960s anti-war movement group Students for a Democratic Society, from which the Weather Underground domestic terrorist group splintered. Hayden contended that Power’s Balkans experience led her to become an advocate of American and NATO military intervention in humanitarian crises. The Saudis and the Gulf countries ALL mistrust Obamas Middle East policy, including his Syrian policy. ”The blame for the situation in Syria does not lie with Russia alone; one of the biggest problems is also the Obama administration, which has squandered a golden opportunity to get rid of a significant obstacle to security in the region – and by extension US national security, Bashar al-Assad. However, it is clear that Obama is not concerned with the security of the region – even though it impacts upon international security as a whole, especially with the chaos in Syria overlooking the Mediterranean – rather Obama is preoccupied with his re-election bid. The US administration has directed as much blame, if not more, towards the Syrian opposition as it has towards al-Assad. What is worse, and indeed a major scandal, is that the Obama administration has said that there could be an al-Qaeda presence [among the opposition] in Syria, even though al-Qaeda ran wild in Iraq under the auspices of the al-Assad regime. When I say this is a scandal, this is because the American newspaper The Washington Post – quoting US intelligence agents – reported that the only evidence Washington has of an al-Qaeda presence in Syria is the style – yes the style – of the bombing that took place in Damascus, and nothing more! The Obama administration is the one calling for the Syrian opposition to unify their ranks, yet Washington knows full well that the unification of the opposition requires international support and hard work, in any situation, not mere statements. The problem with the current US administration is that it is notorious for misinterpreting events in the region. Here it is suffice to consider Obama’s dealings with the Green Revolution, where instead of supporting it he decided to withdraw from Iraq, leaving it in the hands of al-Maliki and Tehran. With regards to Syria, the Obama administration says that the al-Assad regime is still cohesive, but this is something to be expected for several reasons. Washington knows the extent of Iranian support for al-Assad, in terms of arms, money, men, equipment and all manner of resources, via Iraq. This makes it difficult for any Syrian official to defect. How could they, when they don’t see Obama taking any form of serious stand, and instead opposing the armament of the Syrian opposition and refusing to declare that overthrowing the tyrant of Damascus is an issue of national security? How could a full military division defect when there is no buffer zone to ensure the protection of the defectors and to help them re-organize their ranks? Those who defected in Libya went to Benghazi, but where would the Syrian defectors go? If the Obama administration wants to see significant and rapid divisions, then it must adopt a firm stance. Let us recall the era of George W. Bush, when the US administration brandished the stick towards al-Assad after the assassination of Rafik Hariri, with an international tribunal just around the corner, at a time when Ghazi Kanaan was rumored to be plotting a coup and was subsequently assassinated! Where is the stick today, and where is the international tribunal? Furthermore, from reading recent history we would find that no one defected from Saddam Hussein’s regime prior to the US invasion, and even in its early days, because at the time all members were aware that their families would be targeted. The al-Assad regime is worse than Saddam in that regard. But first and foremost, how can the Syrians mobilize when they don’t see a serious stance coming from Washington? “On Monday, the editor of the pan-Arab Al-Sharq Al-Awsat, Tariq al-Homayed, penned a column that delivered a scathing critique of the Obama administration’s Syriapolicy. The title of the piece said it all: “Obama is the problem, not just Russia.” While one can’t say for sure, it’s hard to read Homayed’s editorial as anything other than an indicator of Riyadh’s exasperation with Washington’s dithering as the Syrian uprising marks its first year anniversary. The Saudis’ frustration with the Obama administration’s approach was already evident at the “Friends of Syria” gathering in Tunis last month, when Foreign Minister Saud al-Faysal left the meeting, citing lack of serious action. It was then that al-Faysal publicly went against the administration’s declared policy, calling the arming of the Syrian opposition “an excellent idea.” The Qataris, too, shared the Saudis’ desire for more robust action, including direct support for the Free Syrian Army (FSA). However, if that’s the case, then why did Riyadh and Doha agree to yet another futile initiative with the Russians, which did nothing but buy more time for Assad to escalate his military campaign? In addition, reports continue to suggest that the Saudis and Qataris remain far from aggressively supplying the FSA with weapons. To answer these questions, one must again turn to Washington. In addition to administration officials making the same arguments in testimonies before Congress, press briefings were organized by intelligence officials with the sole aim of trashing the notion of arming the FSA. Unnamed US officials warned of al-Qaeda’s supposed infiltration of the revolution, and exaggerated to a laughable extent the capabilities of the Assad regime in order to counter any push for military action, which some influential voices in Congress had begun voicing. At the same time, the US renewed its efforts to engage Russia at the Security Council, introducing a new draft resolution, which, according to one leaked version, calls for a dialogue between the regime and the opposition, thereby making a remarkable concession to Moscow, tantamount to reversing the declared US policy of regime change. As a result, it’s not hard to see why the Saudis and Qataris felt forced to go through Russia one more time. It was the expressed wish of the President of the United States. A careful rereading of the statement made by the anonymous official to ForeignPolicy.com shows that this was the message communicated to US allies. The official noted that the USwould take the passive attitude toward arming the FSA “at the next Friends of Syriameeting,” which will take place early next month. In other words, the Obama administration opted to waste a full month banging on the Kremlin’s door, yet again, as Bashar al-Assad escalated his military campaign in Homs, Idlib and Daraa. The administration has been criticized repeatedly for not asserting leadership when it came to Syria. In reality, however, the administration did very much push its preferences on its regional allies. Its public messaging and diplomatic activity left no doubt that it continued to oppose any military aid to the FSA and that it insisted on going through Moscow one more time, regardless of the time this would buy Assad. So, although the official said that the administration was not going to “publicly or privately” tell allies not to arm the FSA, as a matter of fact, Washington has been quite verbose these last three weeks, and its message to regional allies, like Saudi Arabia and Qatar, against arming the opposition, has been unmistakable. After all, the US Secretary of State herself twice said that arming the Syrian opposition might be like sending weapons to Al-Qaeda. It’s clear that President Obama, who’s running on a policy of extrication from the region, sees that opening the door to military aid risks drawing the US in. Despite the increased pressure to move in that direction, the president is determined to keep the US out of the game. This was not lost on Al-Sharq Al-Awsat’s Homayed. “[I]t is clear that Obama is not concerned with the security of the region… rather [he] is preoccupied with his re-election bid,” he wrote in his column. “In a previously unreported turn of events, it has now come to light that US Secretary of State Hillary Clinton, in her meeting with Turkey’s Foreign Minister Ahmet Davutoğlu last month, emphatically dismissed a number of forward leaning options on Syria that the Turkish top diplomat proposed to the Obama administration. And then is the push by the Obama administration together with Turkey to make SNC (the Syrian National Council), the sole voice for the Syrian uprising i.e. the Muslim Brotherhood. And the sole recipient and controller of money for the uprising. The president’s support for the Syrian National Council strengthens Islamists. “While the Obama administration’s burgeoning contacts with the Muslim Brotherhood in Egyptcontinue to cause controversy, the administration’s policy of growing cooperation with the Syrian opposition continues to enjoy almost unanimous support. This is remarkable, since by virtue of that policy the administration is openly allied with none other than the Muslim Brotherhood: that is, openly, but with perhaps just enough misdirection for the alliance to escape the notice of the broader public. The Belgian Syria expert Thomas Pierret, a lecturer in contemporary Islam at the Universityof Edinburgh, estimates that “around half” of the SNC’s members are Islamists. According to Pierret, moreover, the Muslim Brotherhood controls the council’s “commission on humanitarian aid” and thereby the distribution of SNC funds in Syria. As a consequence of the repression of the organization by the Syrian regime, the leadership of the Syrian Muslim Brotherhood has been living in exile for decades. Pierret notes that the Brotherhood now stands accused of using its control over the SNC aid spigot in order to reconstruct a base of popular support within the country. Pierret cites remarks made by Kamal al-Labwani to the Arab press as the source for the accusation. Al-Labwani is one of the SNC members that resigned in March. The president fears confronting Assad because of the effect it might have on his nuclear diplomacy. ”Despite months of negotiations by former United Nations Secretary-General Kofi Annan and extensive Security Council deliberations, hostilities in Syria continue. Although overall violence is down slightly and the council has increased U.N. observers to 300, the civilian death toll continues to rise. Syria’s dictatorship ignores Mr. Annan’s “cease fire,” and Bashar al-Assad himself shows no signs of stepping down. President Obama seems paralyzed for two basic reasons: First, he is committed to a U.N. process almost certainly doomed to failure; and second, he fears taking on the real nemesis in Syria, namely Iran’s ayatollahs. The decision to deploy additional military observers was a positive step but the existing observers have hardly displayed much initiative. They have, for instance, declined to monitor anti-Assad demonstrations to avoid, they said, making their mission part of the dispute. One might confuse this with satire were the consequences not so grave. Perhaps recognizing the U.N.’s lack of real impact to date, Secretary of State Hillary Clinton recently suggested that the Security Council impose an arms embargo against Syria’s government if hostilities continue. It was unclear, however, if other governments would agree. Neither Russianor Chinahas responded positively. Given their February double veto against stronger sanctions, there is considerable doubt that they would ever allow an effective arms embargo, especially given Russia’s long-standing arms-supplier relationship with Syria. An enforceable U.N. embargo would require invoking Chapter VII of the U.N. Charter, to restore “international peace and security,” which Moscow and Beijing intensely distrust, particularly after Libya. There, the Security Council acted ostensibly to prevent humanitarian tragedy, and NATO then used the mandate to facilitate ousting Moammar Gadhafi. Russia and China will not repeat that mistake. Moreover, they could insist on a total weapons ban, both to Assad and the opposition. In the U.N. world of moral equivalence, they would almost certainly prevail, as with the 1992 arms embargo when the former Yugoslavia broke up. Mr. Obama’s real failure is not reliance on the cumbersome, ineffective U.N., but his unwillingness to confront Iran, which is determined to maintain Assad in office. Tehran has long treated Syria as a satellite, part of its regional arc of influence that includes terrorist Hezbollah, now politically and militarily dominant in Lebanon. It is prepared to shed considerable Syrian blood to save Assad. The Islamic Republic has supplied arms and financial assistance to the Assad regime, and Iranian Revolutionary Guards officers are on the ground in Syria aiding government forces. Mr. Obama knows that if he confronts Iran directly in Syria, any chance will disappear for a negotiated settlement to Iran’s quest for nuclear weapons. While he should have long ago understood that diplomacy will never persuade Iran to renounce its objective of becoming a nuclear power, he has not. So despite Iran’s obvious role (backed by Russia and China) in defending Assad’s brutality, the president cannot bring himself to admit his Iran policy’s futility. And Mr. Obama is entirely unwilling to risk foreign adventures that might imperil his re-election. Washington needs to acknowledge that effectively challenging Assad means moving beyond sanctions and diplomacy, and toward regime change in Tehran. Mr. Obama seems unable or unwilling to understand that Iran is an enemy of the U.S. and that its nuclear and regional hegemonic ambitions must be thwarted, or the ayatollahs overturned. Such an uncertain leader cannot handle a critical confrontation effectively. 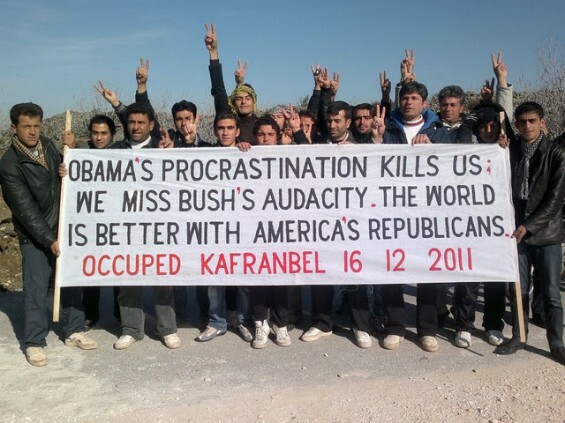 Unfortunately, we may have to wait for a more resolute president rather than proceed and fail inSyria with a weak one. Well the efforts to try to stop Iran from acquiring nuclear weapons have been going on for ages without nothing to show. Some examples: UN Security Council has passed seven resolutions on Iran since 2006. Including sanctions and an arms embargo. EU has been going at it for nine years now, including sanctions, and nothing to show for it. IAEA has made a lot of reports and resolutions, and nothing has changed. USA has for a long time imposed many sanctions against Iran (since 1979) but nothing has changed. That is 33 years of futile sanctions that has not achieved its objective. Other countries like Canada, Australia, South Korea, Japan, Switzerland etc also have imposed various sanctions. And nothing has changed. Now Obama is spinning this wheel another turn. 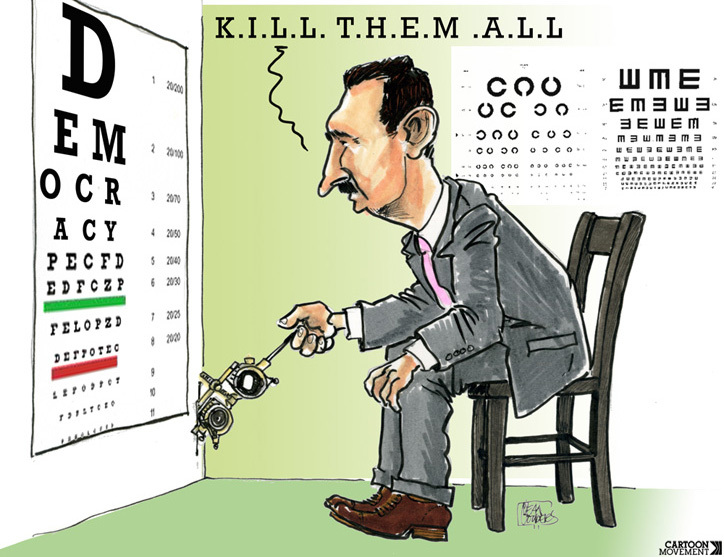 And since he doesn’t want to “offend” Iran, Assad can continue to slaughter his people. No “responsibility to protect” there. I could continue for a very long time, there is much more to be said, but this already a way to long post. So I stop here. You get the picture.